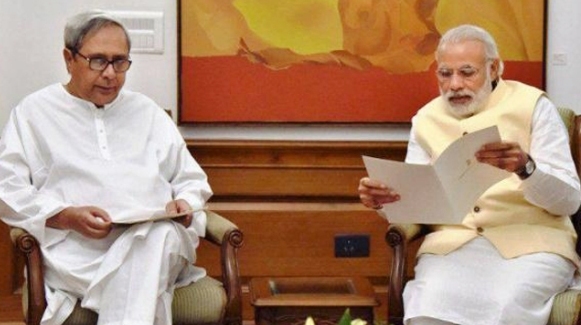 Odisha Chief Minister Naveen Patnaik on Thursday sought Prime Minister Narendra Modi’s help to enhance by 34.44 lakh the number of beneficiaries under the National Food Security Act (NFSA) in the state. In a letter to the Prime Minister, Patnaik also suggested that a mechanism be put in place wherein the target is modified at regular intervals to increase coverage of the beneficiaries in accordance with the increase in population. Odisha has successfully implemented the National Food Security Act (NFSA) 2013, by providing ration to the given target of 3,26,41,800 beneficiaries, which is 78 per cent of the 2011 census population of 4,19,74,218, informed Patnaik. “According to 2011 Census data, the rate of growth of population of Odisha was 14 per cent in the last decade. If we extrapolate this date, then in 2018 the population of Odisha has increased by 10.22 per cent as compared to 2011. It is estimated that the total population of Odisha in 2018 would be 4,62,63,983,” he added.